My mom rarely cleans her plate at the dinner table, but last night when I cooked for the family, she had a second sandwich - and ate all of it. That's how I knew this was a recipe I will have to make again & again, so I'd better write it down. Most of the time when I'm cooking I don't measure out the ingredients - I just fly around the kitchen, tossing ingredients together by intuition. I'm not sure of the measurements for this dish, but since I had a lot of requests for the recipe, I figured I will share the basics & let you all try it per your own intuition! 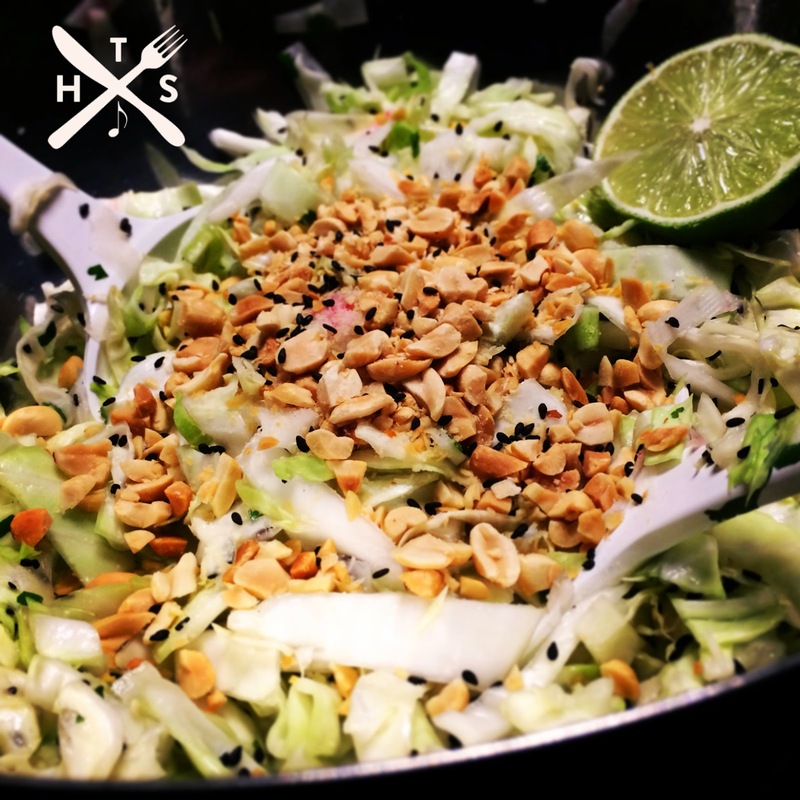 Toss cabbage, radish, vinegar, Mirin, lime juice, sesame seeds, honey, sesame oil, salt and cilantro in a large bowl. Taste it. Love it. Top with peanuts. Done. Bring all of the ingredients to a boil, add the pork, cover, reduce heat to low, simmer for at least 1 hour or until pork is tender when stabbed with a fork. Remove pork from liquid, and pull apart using 2 forks.